Stock status is current as of 4/23/2019 2:34 AMET. Convert a 6-pin Firewire 400 cable for use with a 4-pin Firewire device. 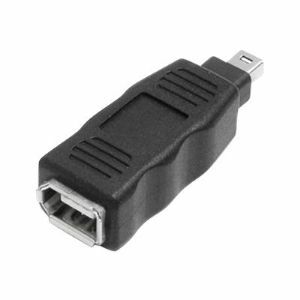 This IEEE-1394 Firewire 4-6 Adapter M/F is converts a 4-pin FireWire connector into a 6-pin FireWire connector.